And I can't figure out what it wants to be. 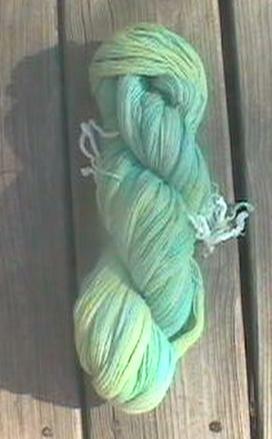 See here is the story: last summer I was dyeing yarn and my then 7 year old daughter wanted to "help." Figuring I knew what kind of help she would give me, I ended up giving her this super fine, greyish whiteish blah wool yarn that I was given that I didn't think I'd ever use. I really expected her to make something that turned out brown. But no, she made this fabulous, gorgeous blue/green yarn. Now I wish it had been something useful. So, now what do I do with it? DD can knit, but she's never going to knit with laceweight yarn. There's no nylon in it so I really don't want to make socks out of it. I'm stumped. 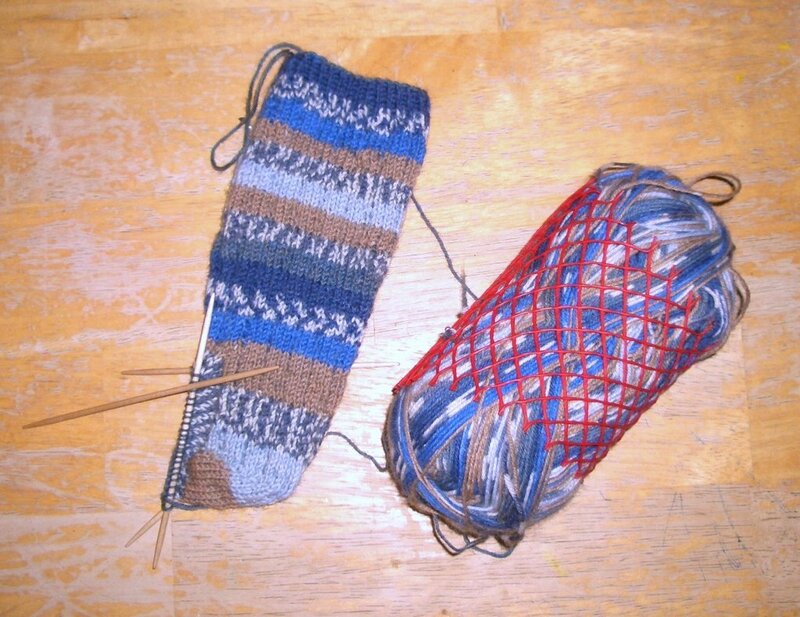 Here's where I am now on my current sock. This is the first one. The yarn is Lana Grossa Meilenweit Fantasy (4750). I kind of based them on Thuja but my gauge is much smaller, so they're modified a great deal. I love them. They make me hope it gets cold soon so I can wear my new woolen socks. With my Birks. I might even finish the second one for the occasion.